When residents are in need of landscape construction, one name always seems to stick out: Prolawn Outdoors. Specializing in hardscapes and softscapes, Prolawn Outdoors has made a name for itself in the landscape construction business thanks to our commitment to quality and craftsmanship. When you’re looking to upgrade your outdoor area, it makes sense to stick with one company throughout the process. When you rely on multiple companies for one big project, there’s always the risk that something will slip through the cracks, leaving you with something that’s less than perfect. There’s no need to settle for anything less than exactly what you want, especially when achieving those results is as simple as dialing Prolawn Outdoors’s number. By working with Prolawn Outdoors from start to finish, you can be sure that your vision for the perfect yard will be realized. 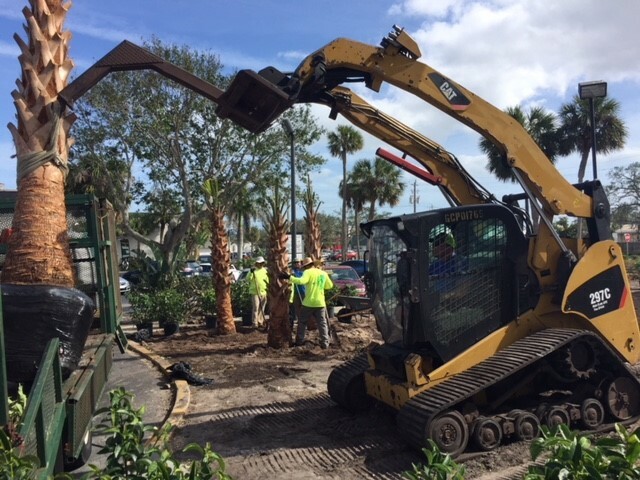 Prolawn Outdoors is skilled in all areas of landscape construction, including both residential and commercial landscaping, irrigation installation and maintenance, project design and planning, and any upkeep associated with these various fields. Because we specialize in numerous fields, the consultation process with us is quite involved, and allows you to be explicit in what you’re hoping to achieve out of working with us. There won’t be any unpleasant surprises when we’re finished; from the very start we work hard to make sure everyone is on the same page. High quality landscapes must first begin with high quality design, which is why Prolawn Outdoors places such emphasis on both the initial consultation and then the subsequent design period. A landscape can only be successfully constructed if those in charge of creating it first create a plan of action. One of the biggest failures of other companies is their inability to both listen to their clients ideas and factor them into the budget and existing landscape, which brings with it its own set of constraints. Prolawn Outdoors has years of experience working with budgets (and lawns) of all different sizes, so we know how to make the most of a small budget or space. Prolawn Outdoors’s standards are high; we only recruit the best and brightest in landscape construction, because we are results-driven, and recognize that good design is only effective when properly carried out. It’s one thing to have an idea on paper of how things should look, but if you’re not skilled in the execution what was the purpose of the plan to begin with? Contact Prolawn Outdoors For a Consultation Today!